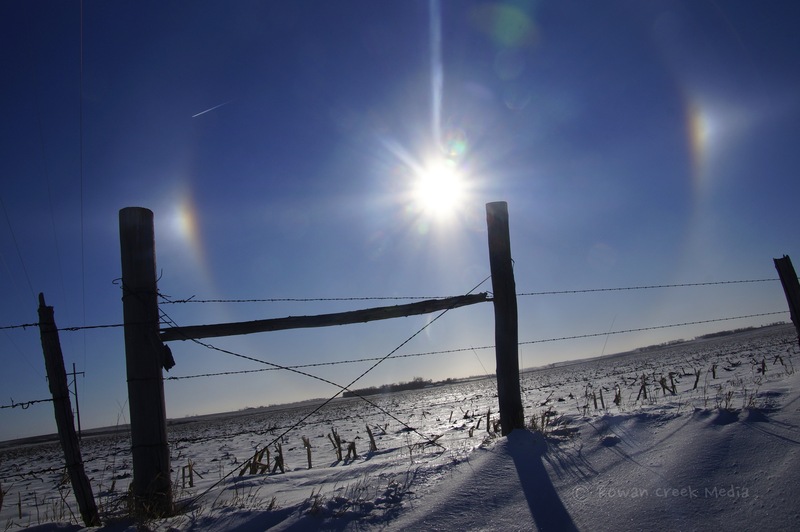 Another frigid day on the plains of South Dakota brought a return of the Sun Dogs. We had only started to drive away from the house this morning on our way to school, when I started searching for my sunglasses. While I hate to ever complain about the sun, it was incredibly bright. It took me a moment to realize why. While admiring the glow and the beautiful drive into town, I called the Cowboy and asked him to grab the camera and snap a few shots back at the ranch. He claims to not really know what he’s doing with the lens, but I love this image from today in particular. This entry was posted in Cowboy, Family, Life, South Dakota, Uncategorized by Carleen Wild. Bookmark the permalink. Wow. Beautiful images. I live in the Yukon, way up on top of Canada and we get sundogs here too. It’s interesting to realize they’re not just a feature of the frozen north. They are magical, aren’t they? 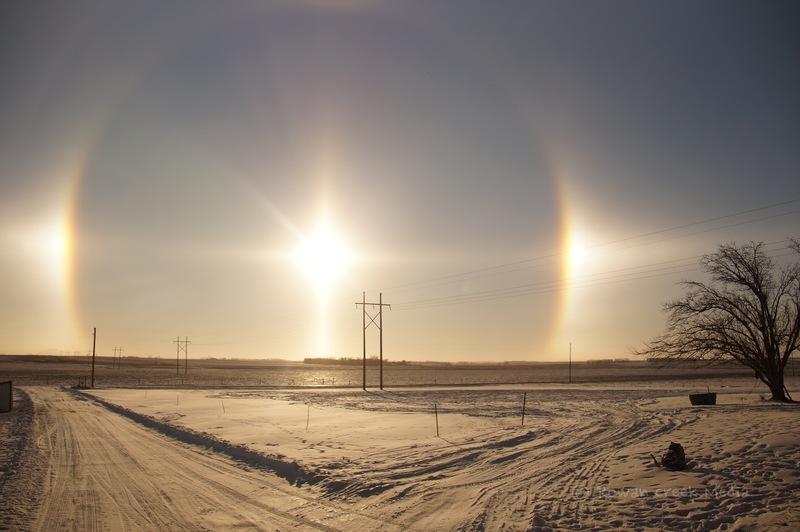 Know what you mean about low sun, but these sun dog shots are spectacular – congratulations to the cowboy – fine shot!